Poured from a 22 oz bottle into a snifter. The color is deep dark red as it pours, appearing solid black in the glass. A large light tan head is poured, likely accentuated by an aggressive pour and the glassware used. 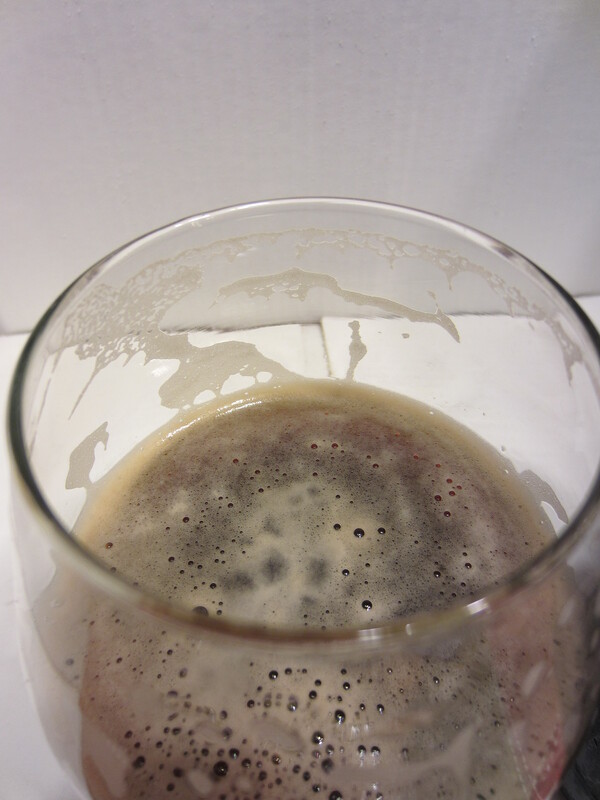 Minor carbonation is visible, and good lacing is left on the glass. 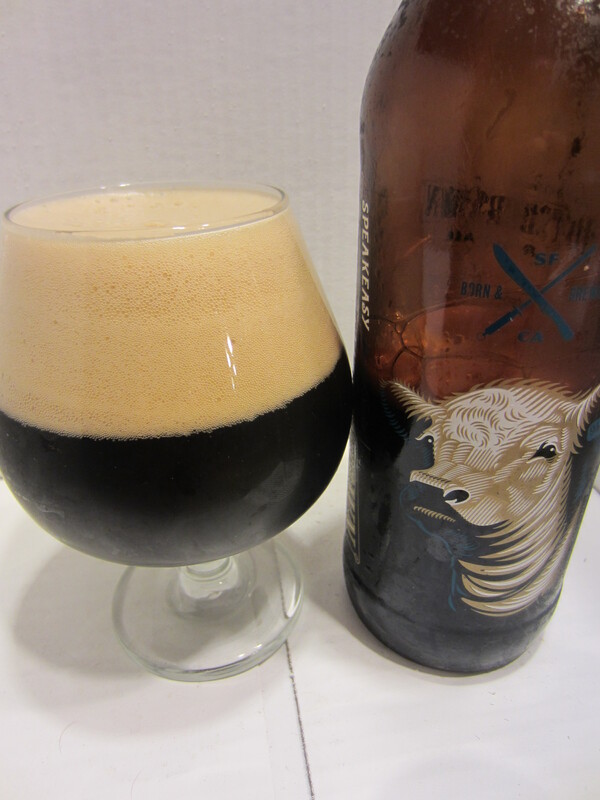 Piney/earthy hops initially, with roasty dark chocolate and caramel malt undertones. 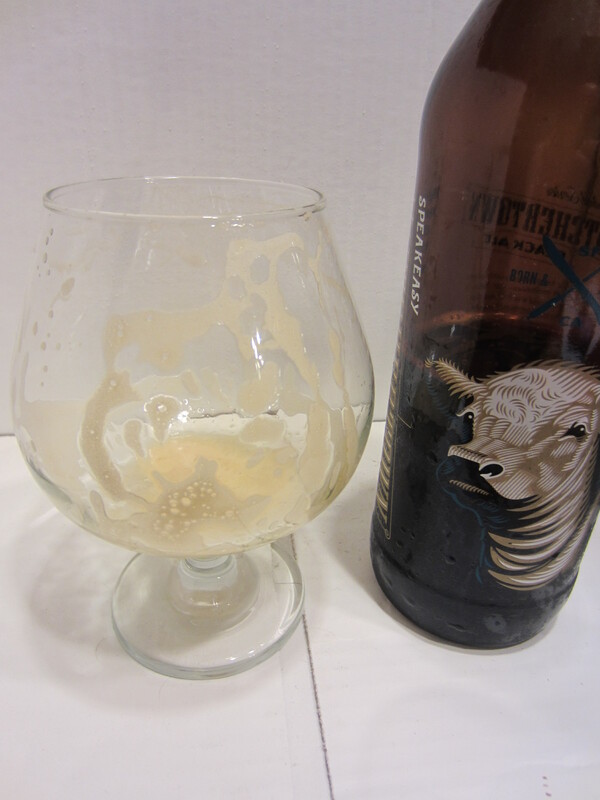 Butchertown has a medium body and a soft mouthfeel, with very mild carbonation noticeable. There is not too much flavor initially, but the aftertaste offers roasted dark chocolate/coffee and medium hop flavor/bitterness. The aftertaste seems similar to an overly hopped robust porter. 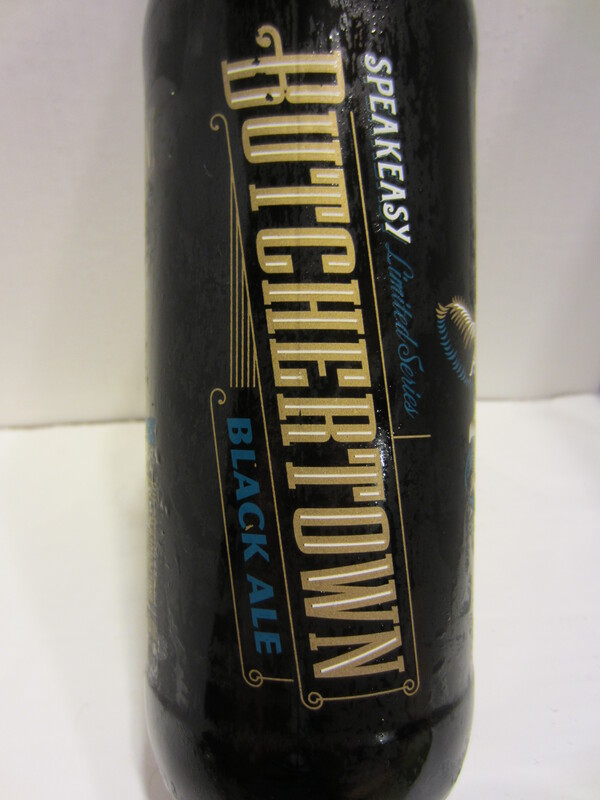 Butchertown Black Ale is unique beer. 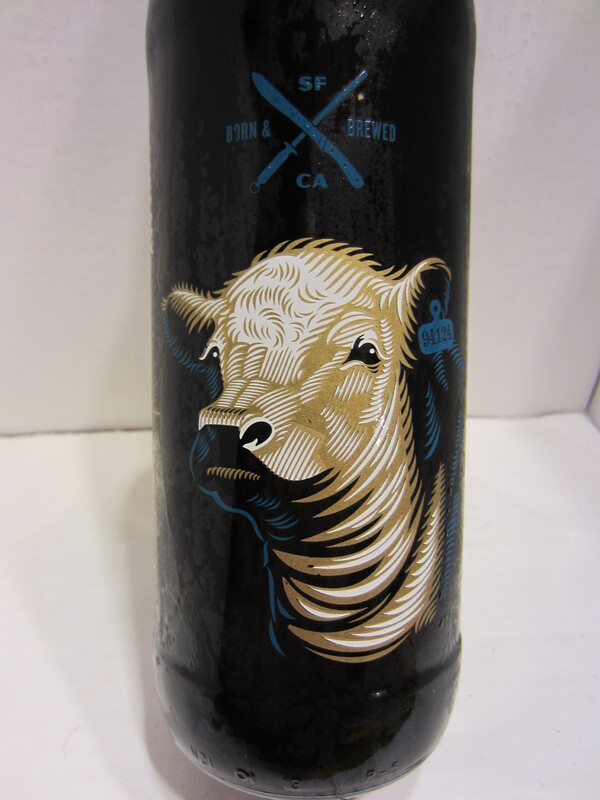 It has a base level similar to Speakeasy’s Payback Porter, but has a level of hops similar to an IPA. I haven’t had too many dark beers that offer this level of roasted chocolate/coffee flavor combined with aggressive hop levels. I found the flavor combination to be tasty, but think that even more hop assertiveness would really make this beer wow me. 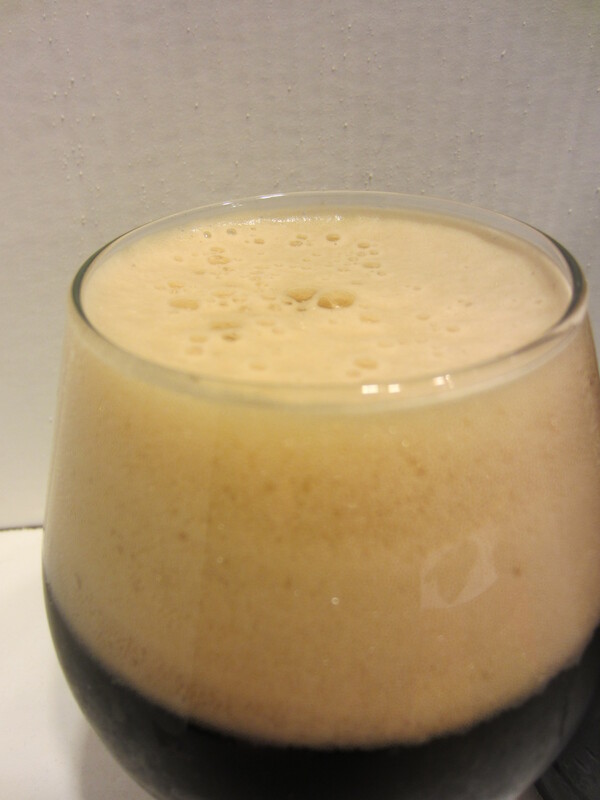 To have such contrasting styles offered in a beer is a feat in itself, but combining the solid roastiness with a massive piny hop bomb would be amazing (homebrew idea, Toby). The flavors aren’t quite as distinct from each other as the aromas would suggest, and that muddling knocks the score down a touch. Overall, this enjoyable beverage rates an 8/10.